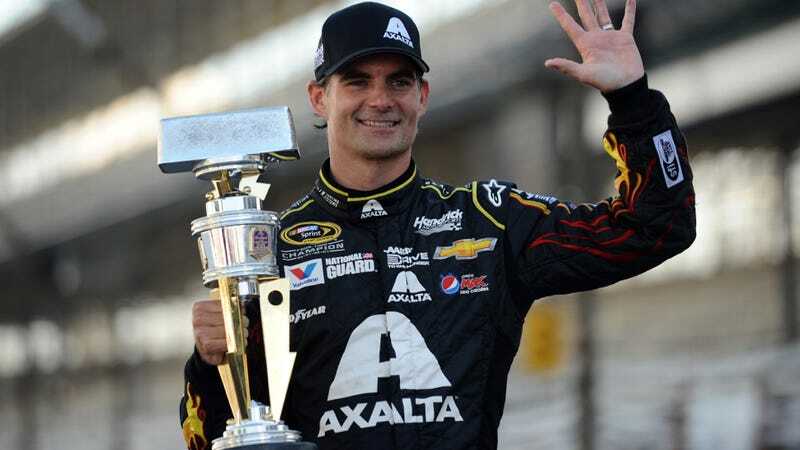 Four time Sprint Cup champion and my own personal demon Jeff Gordon will retire from full time NASCAR racing after the 2015 season. Gordon told his team this morning that this is the end of his full time Sprint Cup career, which presumably means he's going to spend his after this season getting revenge on anyone who ever said anything about him that he didn't quite agree with. Of course, he'll have Pepsi help him the entire time. Great. Gordon is one of the greatest NASCAR drivers of all time with four championships, five wins at the Brickyard 400, three Daytona 500 wins, and 92 total wins during his 20-plus year career. It'll be a blow to the sport to lose him full time, but he hasn't ruled out competing part time. If he does it the way Mark Martin did, he'll be racing full time for about 25 more years. We aren't losing Jeff yet.